But so often I find that when I do whatever the thing is that I think isn’t going to go well, it usually turns out totally awesome. Which makes me realize that some things in life really are still EASY. Or at least not nearly as impossible as we make them out to be in our heads. Like these tasty spiced snacking nuts. Done in ten minutes (you heard me right, TEN!) and literally just a roasting tray, a hot oven, some avocado oil and a shake or two of a few spices and you’re in business. It sometimes takes more time to even think about what snack I’m in the mood for eating. 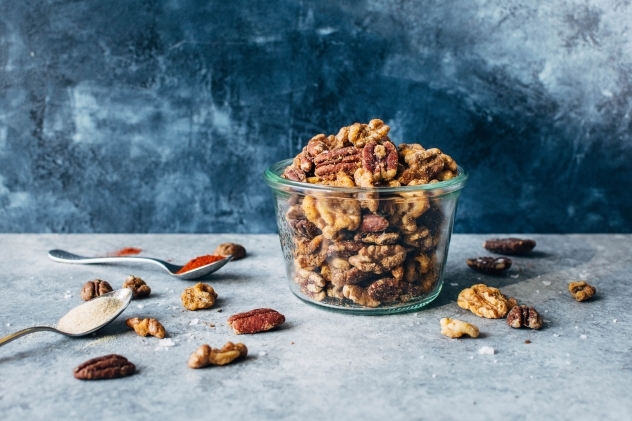 what spices did include in these snacking nuts? See?! So simple! And I bet you already have most of these spices in your cupboard already. 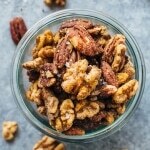 I like the way the spices stick to the pecans and walnuts, and they both seem to roast for about the same amount of time, so that’s the nuts I chose to use, but I’m sure you would have just as much success by adding in cashews or almonds. Also a version made with seeds? I think that would be pretty fantastic, too. So there you have it, friends! Another simple and clean recipe to make + love + share. Hope this November is treating you all with love and cozy goodness that you deserve. 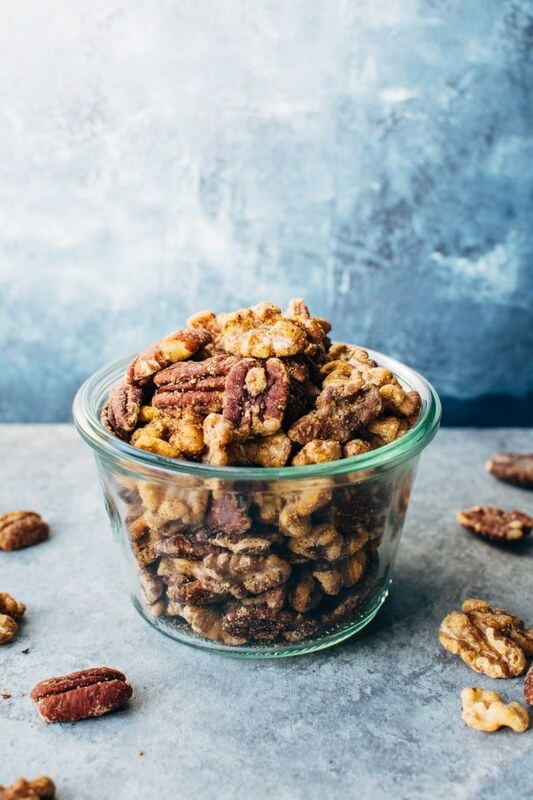 Tasty spiced snacking nuts are so easy to make and just the perfect amount of crispy bite and spice! Clean snacking at it’s BEST! 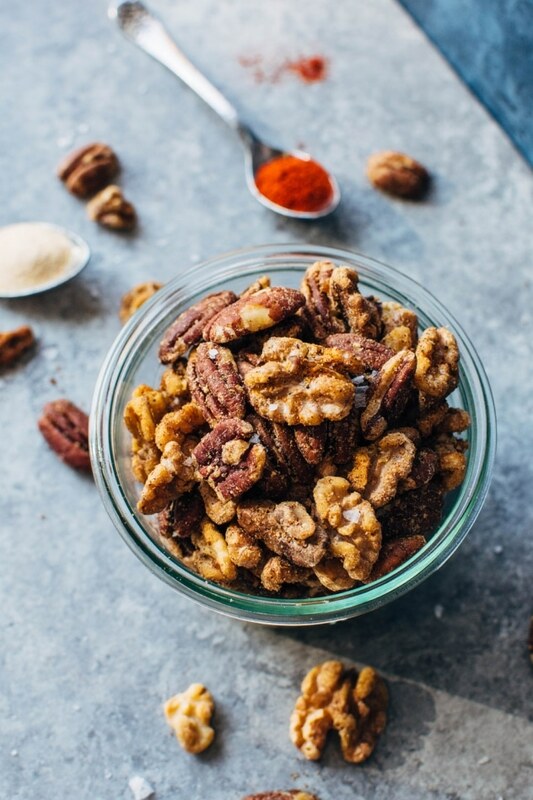 Toss nuts with avocado oil, ghee or coconut oil, spices and salt and pepper. Roast on a baking sheet for about 4 minutes, take out and stir, and return to the oven for another 3 to 4 minutes, until hot and fragrant. Roasting time may vary depending on what type of nut or seed you decide to use. 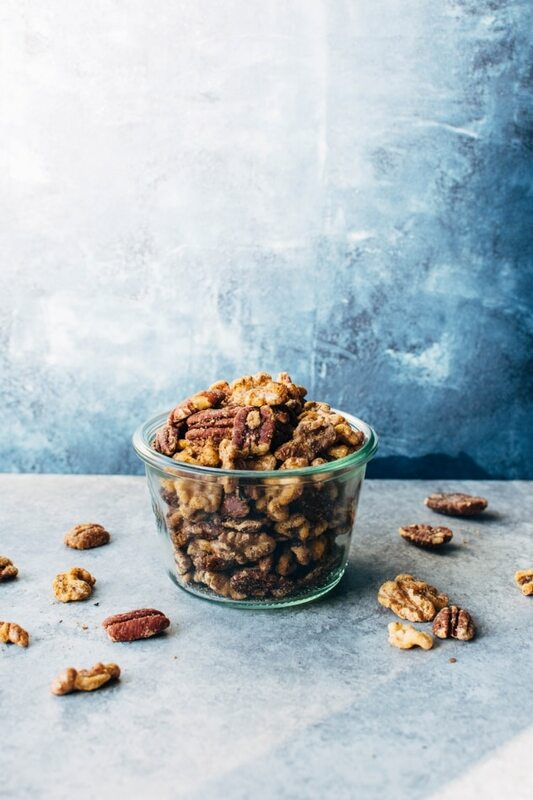 Walnuts and pecans tend to roast more quickly than cashews and almonds for example, so you may have to play around with the timing if you are going to use something other than walnuts and pecans. 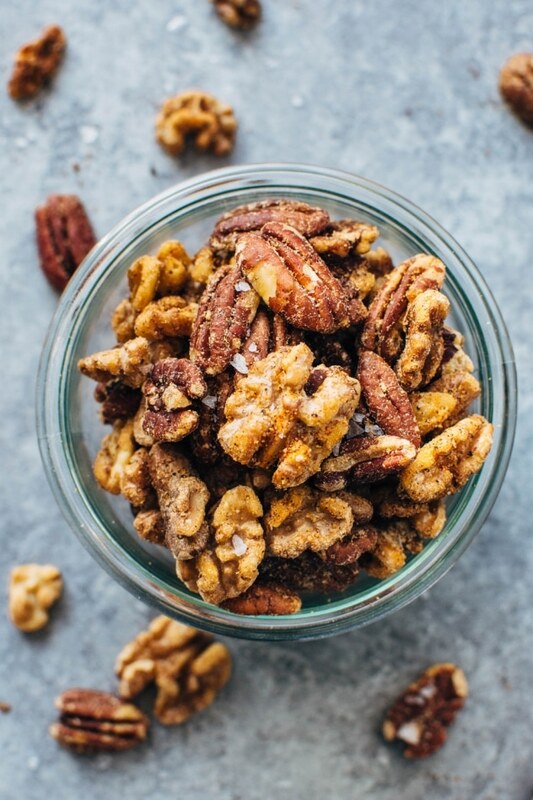 Want more easy and healthy snack recipes? Check out these favorites!